In September, an Australian cartoonist drew a caricature of tennis champion Serena Williams angrily stomping on her racket at the 2018 US Open Women’s finals. Immediately, the Australian newspaper was called out for the cartoon that many deemed racist. Obi Arisukwu’s inbox was flooded. The thirty-one year-old, Nigerian-American artist received message after message asking him to draw her. “It was like I was the champion of black illustrators,” he said. 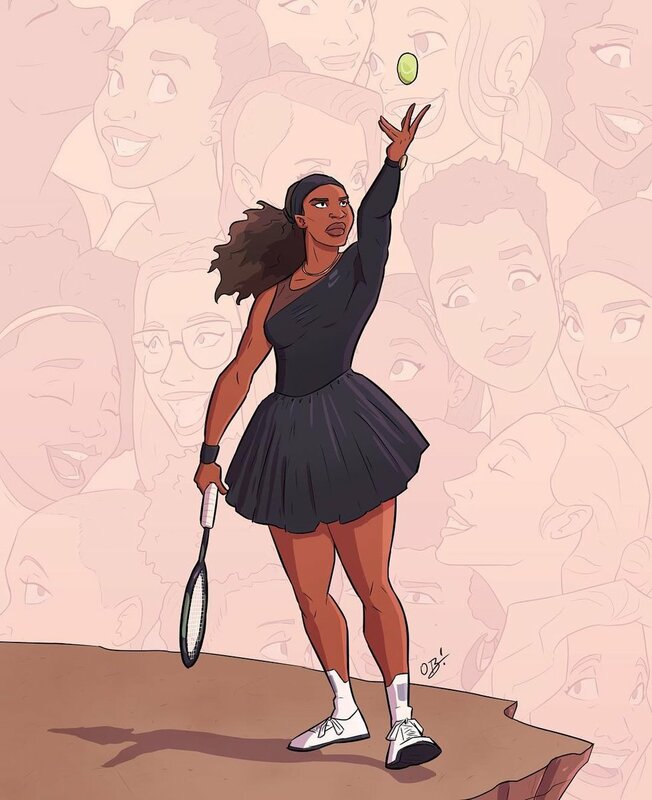 After two weeks, he posted an illustration of Serena Williams leaning back mid-serve, her face a beacon of fierce determination and pride. There’s a collage of women behind her. Arisukwu’s light-hearted weekly comic strips tackle relatable issues like the lengths we go to in order to impress a crush, being lured into a pyramid scheme or trying to enter those ridiculously long wifi passwords. They pay homage to icons like Beyonce, Oprah and the Obamas. Within the last year, he’s gotten nods from The Shade Room and this month, Will Smith. And during a time of bleak newscycles, his work brings light and laughter to your timeline. The self-proclaimed superhero geek, who hails from Houston, Texas, knew he wanted to be an artist since the age of 3. After graduating from Lamar University with a major in Graphic Design, he worked as the lead graphic designer at the headquarters of ConocoPhillips, a multinational gas company. But he wasn’t fulfilled in corporate America. He often found himself drawing at his desk. In 2013, when Arisukwu saw other artists sharing their work on Instagram, he began to to do the same. Last year, he took the leap and began pursuing art full-time. Image via Obi Arisukwu’s InstagramHow do you go about picking what you want to illustrate? Black magic, really. I’m inspired by a lot of stuff that us as Black people do. There are some people if I had more time I would draw them. I would definitely say I’ve been wanting to do Lebron James, Queen Latifah… I also want to draw other cultures, as well. I would see other people drawing faces and figures but there was no meaning behind it. I thought, ‘How can I be different? How can I tell a story with my art?’ The Serena one tells a story. 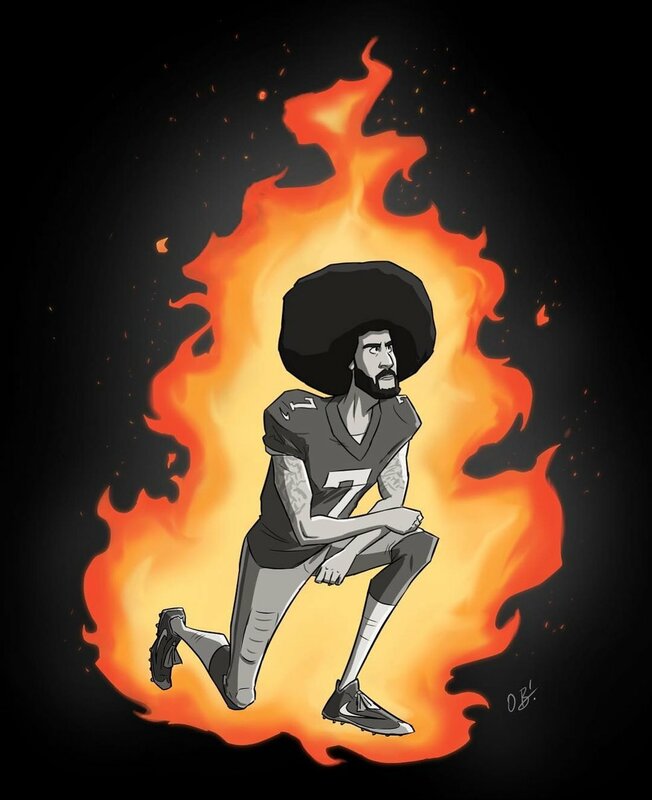 The Colin Kaepernick one tells a story. The Beyonce one tells a story. When did you realize people were really taking notice of your art ? 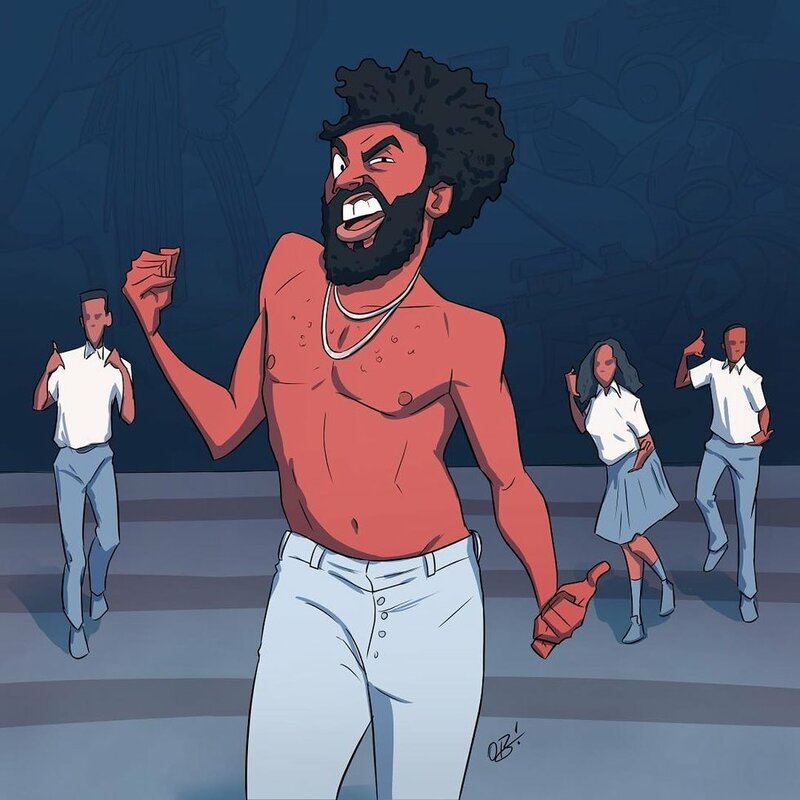 The biggest hit was the Childish Gambino ‘This Is America’ [piece]. That went viral. Within 24 hours it went viral and had 30,000 likes in one day. It was insane to me. I didn’t know what to do. When the ShadeRoomposted it, it was crazy, when Will Smith re-posted… it was one of those things that happened so fast, when it comes to my success on social media. I have to celebrate the little moments because I’ll keep moving. My cousin is the one who’ll tell me “Will Smith just reposted you, we gotta celebrate.” It hasn’t hit me yet. I have a goal in mind and until I reach that goal, I’m not worried about the rest of the stuff. Image via Obi Arisukwu’s InstagramWhere can we see the Nigerian influence in your work? I have another cartoon concept I’m working on. The main character and the focus is really about West African culture. I been thinking about that one for years. I think it’s one that will influence a lot of kids because when we were younger we didn’t have many people who looked like us. We wanted a cartoon that highlights the aspects of our African heritage. The closest we had was Kwame from Captain Planet. How did your parents react to you wanting to do art? They were always supportive when it came to me doing art. Since I was a kid they pushed me to do art clubs, they always supported my creativity. Which is crazy because you don’t always see immigrant parents doing that. So when I quit my job and I told them I wanted to do art full time, they were more on don’t quit yet. Work the rest of the year and save your money. Now, they see the feedback I’m getting for my illustrations, because they kinda stalk me [laughs]. Everyday my dad says “I see the numbers they’re growing.” And my mom she says all her friends are calling her. They always supported me, but now theyreally believe what I’m doing. I owe so much of my success to my parents. When I visualize my success, I visualize doing it for my parents. Image via Obi Arisukwu’s InstagramSince your art is becoming more and more visible, how has your life changed? I guess I’ve become what people call an influencer, now? I’ve been invited to so many things. I tell them, “I don’t turn down free food so…” but what I realized is I can easily fall into that trap where fame can take over. And I always want to be focused on my work. For the most part, your comics are always light-hearted. Is that intentional? Yes, absolutely. I think Boondocks was a huge hit. It paved the way. Without Boondocks I don’t think I’d be getting that much attention. People are always kind of looking for that again. It was a very urban show. As people of color, we go through everyday situations just like everybody else. I want to show that side. 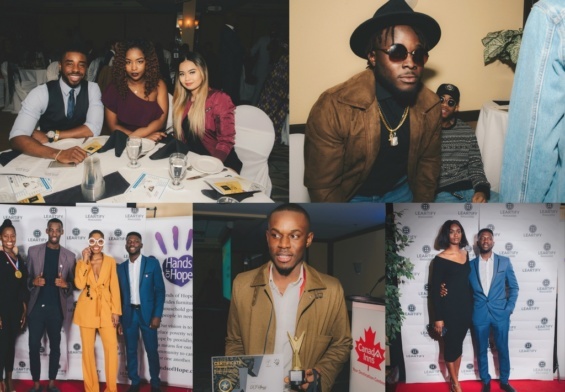 Image via Obi Arisukwu’s InstagramSo Black people, just living life. Exactly. I think a lot of people love my cartoons because I show just that. 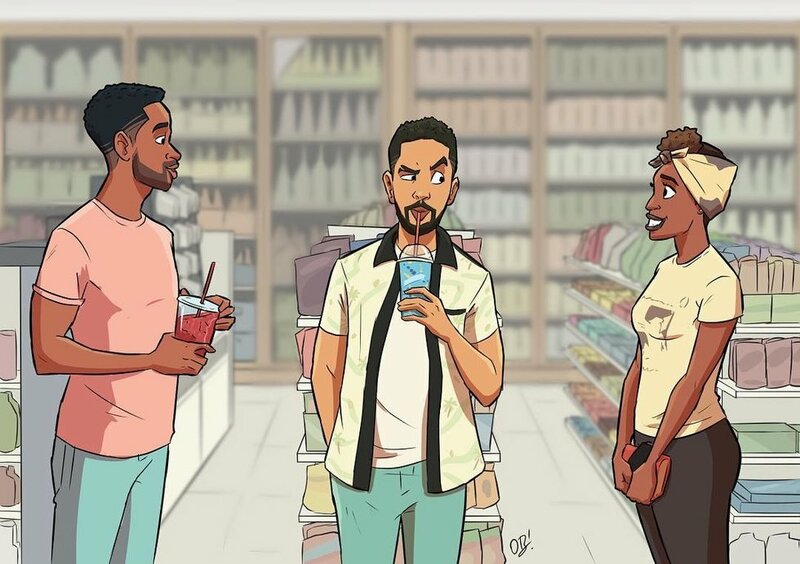 It’s time that someone makes comics with Black people that everyone can relate to, too. When it comes to the comic strips they vary. Too many to say which is my favorite. But that Childish Gambino one made me realize, ‘Okay, this is where I want to take my art,’ because that was the one that really had a story to it. 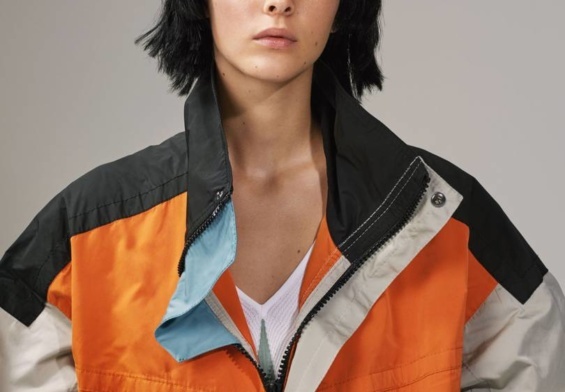 Image via Obi Arisukwu’s InstagramWhat’s the story? With “This Is America” when I did more research on the music video, I saw that it was really a metaphor saying we keep tap dancing in front of the camera and it’s a distraction from what’s going on in the back which is really police brutality and violence. That took me two days to draw because I did so many revisions. I changed the background art so many times. Putting that kind of work in and taking that risk, was worth it. My style really started transforming outside the comic strip art. I saw that you always have your headphones in when you draw. What music do you listen to as you create? I listen to rap. I listen to Drake a lot, Kendrick, Run The Jewels, LE$, Tobe Nwigwe, Chloe and Halle, Childish Gambino, Solange, Biggie, Jay, classical music, it depends on what zone I’m in. Lately, I’ve been listening to Travis Scott’s Astro World. It has a melody that keeps me going. I like to listen to music by artists who are very creative as well. I can hear that creativity in the music. You talked about staying focused on your goal. What is your goal? I want to have my own animated series and inspire other people of color to do the same thing. I tell people I want to be like Steve Harvey. He has so many things going on. The book, the show, the movies… when it comes to cartoons, animated movies, video games, YouTube streams… I want to be that person.